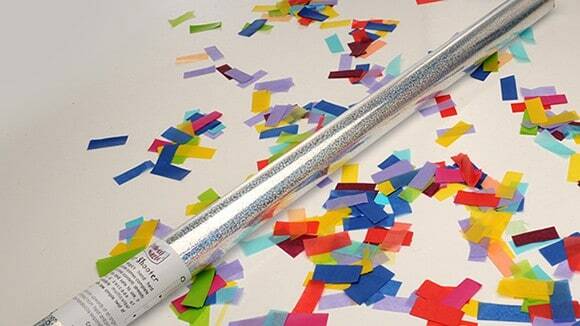 Our large confetti cannons are available in a great range of colours and types of confetti. These large confetti cannons are sure to be a real hit with your guests. Flame retardant and biodegradable these cannons will fire up to 12m. Safe to use indoors and outdoors.